MADRID, Sept. 14 (Xinhua/Sun) -- The United States retained their title as World Basketball Champions on Sunday with a crushing 129-92 win over Serbia in the final held in Madrid' s Palacio de Deportes. The Americans may have ended eight points short of the World record score of 137 in the 1994 World Championship final and the Serbs can also be proud of a display which could possibly have given them the title against any other team in the world, but nobody can question the merit of the win. Many have said this American side is not as good as other 'Dream Teams' of recent years and the US came to Spain missing some star names such as Kevin Durant, but the fact is they have rarely looked in any trouble en-route to their title, winning all nine of the games they have played over the past fortnight and with almost insulting margins of victory in the knockout stages. Before the final the Americans had beaten Mexico 86-63 in the last 16, Slovenia 119-76 in the quarter finals and Lithuania 96-68 in the last four and some of those wins would have been bigger had they not been saving their strength for what lay ahead. They held nothing back against the Serbs, however, although it must also be said that in no moment, even with the game in the bag did US team show anything less than the utmost respect to their rivals. The Serbs started strongly, as you would expect of such a competitive side and for the first five minutes, it looked as if it would be an even final, but the US hit the accelerator to move from 15-7 down to take a 22-15 lead in just 2.20. After the early hopes the first quarter ended 35-21 in the Americans' favor and that lead continued to stretch out as the game progressed. It was 67-41 at the break and 105-67 with 10 minutes remaining. That made a new world record score for the final seem possible, but with the title in the bag the US perhaps eased up, but there was no showboating at all as the Serbs came out of the final with a silver medal and their pride, deservedly intact. 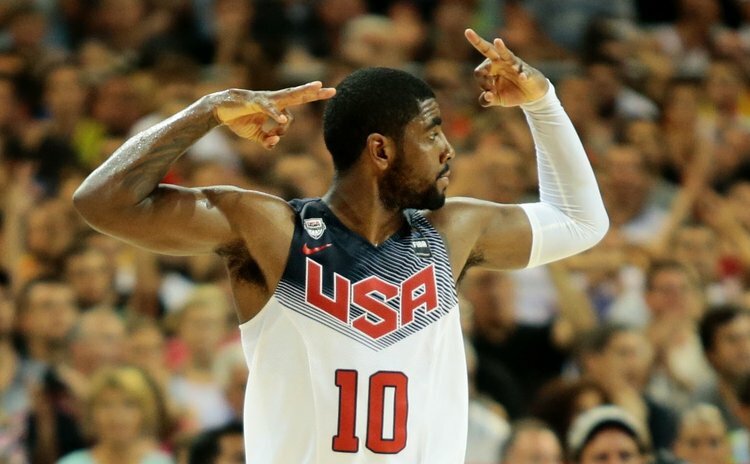 It' s hard to highlight one player among the Americans' performance, but point guard Kyrie Irving' s 26 points included six three point throws from six attempts to be named MVP of the final, while James Harding' s 25 points were also decisive. ' Meanwhile the Spanish hosts are left wondering what might have been had they not thrown their chance away in the quarter-final against France.